Are you looking to do some home improvements, remodeling or repair projects to your Livingston, NJ home? Looking for a good, reliable and trustworthy home remodeling contractor can be a daunting project in itself, thankfully you’ve found our website. Angi Home Improvement LLC is a home improvement and remodeling contractor serving the Livingston area. Since 2003 we’ve been helping Livingston homeowners upgrade and remodel their homes using the latest home improvement products and remodeling trends. The roofing and siding on your home is the first line of defense against natures elements. The roofing and siding on your home doesn’t just protect your home it also protects you, your family and all of your belongings contained within the home too. Angi Home Improvement LLC specializes in both Roofing Repairs and Roofing Replacements. 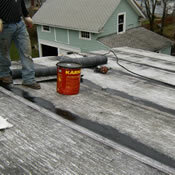 We work with Asphalt Roofing and Designer Shingle roofing systems throughout Livingston, NJ. We also sell and install new siding including Vinyl Siding and Fiber Cement Siding. Remodeling and Renovating your Kitchen in your Livingston, New Jersey home is a great way to get the kitchen you’ve seen on TV or in a Magazine. Remodeling your kitchen to better suit your families specific lifestyle needs will make your kitchen an even more enjoyable room to spend time in. Angi Home Improvement LLC can transform your kitchen with several different remodeling options such as installing new kitchen countertops, new kitchen tile flooring, or even custom tile backsplashes. Bathroom Remodeling or Renovating is arguably one of the best remodeling investments you can make in your Livingston home. Bathroom remodeling consistently offers one of the highest returns on your investment out of many other home remodeling projects. Angi Home Improvement LLC can help you turn your bathroom into something you’d expect from a 4 or 5 star hotel. 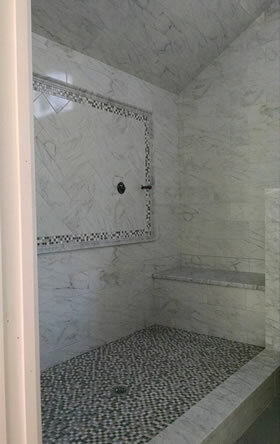 Custom tile or stone showers, barrier free showers, handicap safe bathrooms and more. 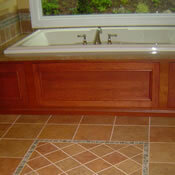 Tile is a great way to add more luxurious detail into any home remodeling project in Livingston, New Jersey. Angi Home Improvement LLC is a full service tile contractor serving the Livingston area of New Jersey. 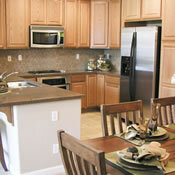 From installing a new tile floor in your bathroom or kichen to a new custom tile backsplash over the stove. 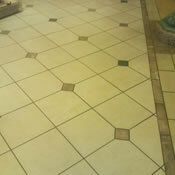 We are well known for the high quality of our tile work and we’d love to have the chance to show you why. 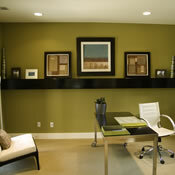 Planning a Home Improvement or Remodeling Project in Livingston? If you are planning a home improvement in the Livingston, New Jersey area then consider contacting Angi Home Improvement LLC to request an estimate for your project.